Unique, modular building solutions to meet any need. 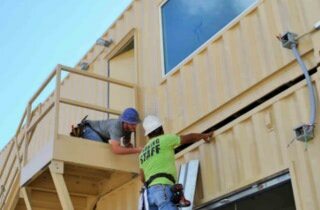 Sturdy, weather resistant, and modular, repurposed steel shipping containers are suitable for an infinite number of industrial, military, and workplace applications. Using heavy-duty, ISO containers as a blank canvas, our engineering and design teams can customize these structures based on your unique goals and specifications. 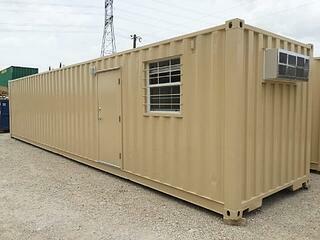 Cut the construction time of your next building in half by choosing shipping containers. Falcon Structures is an experienced manufacturer of shipping container-based modules that can be quickly stacked into large multi-story buildings. The Village of Obetz wanted to renovate an old racetrack into a community space their residents would be proud of, but they had a deadline. 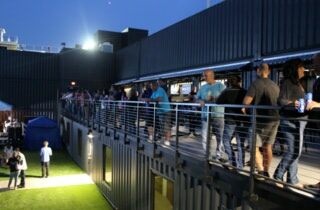 Falcon Structures created Fortress Obetz, the largest container-based building in the United States to date, on time thanks to modular building. The Washoe County Sheriff's Office was looking for a dynamic and durable, yet cost-effective training structure, to train emergency responders such as law enforcement officers, fire fighters, and paramedics. 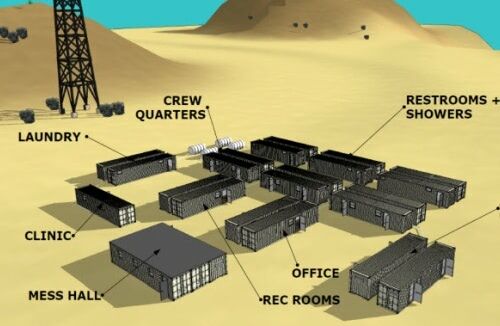 A shipping container-based training structure was the perfect solution. We've done custom modifications for a diverse array of industries. Check out our case studies and see just how creative we can be when we work with customers to create a custom solutions including specialty living quarters, equipment enclosures, and more. Inherently weather resistant and easily relocated, repurposed shipping containers provide the ideal solution for oil field worker needs. Consider modified containers for sleeping quarters, shower facilities, cafeterias, recreation areas, laundry, infirmaries, and more. 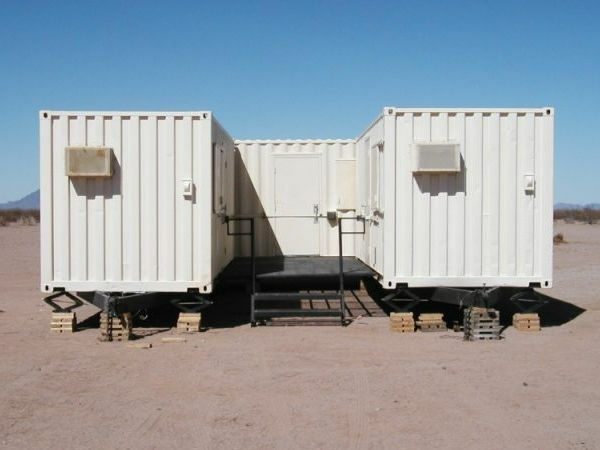 Durable, portable, cost-efficient, and secure, modified shipping containers meet housing, office space and storage needs for remote oil field locations. 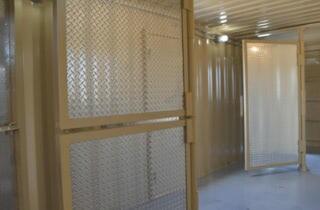 Keep workers safe and comfortable in container living quarters, mobile restrooms, recreation spaces, cafeterias, and more.